Clem’s Cargo at Brunswick Heads is not just a place where one can see a large range of elegant and restored furniture and collectables but is now a massive shed complex that has evolved into an arts hub that incorporates ceramics, weaving, clothing as well as its own café. This hub has now been the venue for several exhibitions including sculpture and painting. It is giving Brunswick Heads a cultural profile. The owners, Phil & Juliana, have created a resonance unseen in Brunswick before. 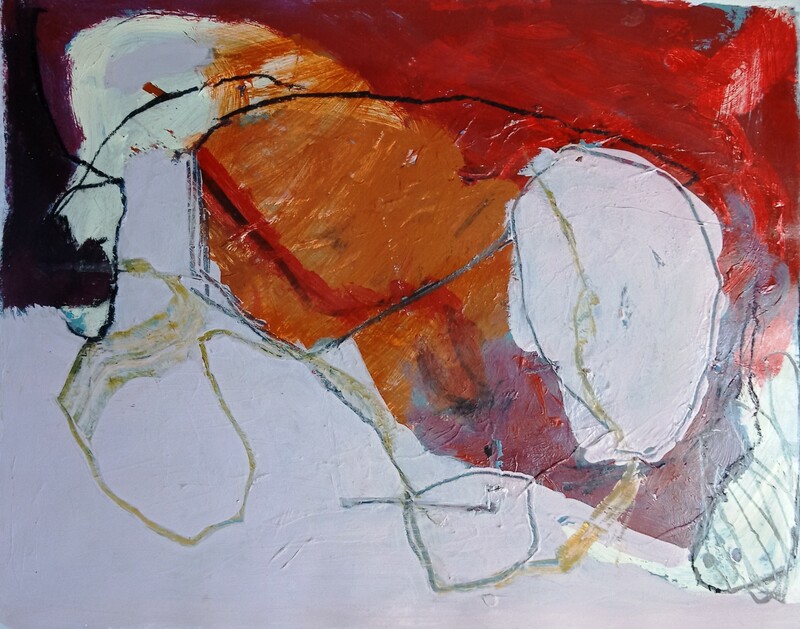 The latest in this line of events will be a powerful exhibition of paintings by LIZ FRIEND, coordinator of the Dynamic Drawing classes in Byron Bay and Mullumbimby. This exhibition will include a spectacular range of Liz’s works that exemplify her language based painting ability. Liz has attracted an increasingly strong profile, both within the classes and beyond. Her work is wholly original, deeply informed with luxurious use of colour and jazz like dissonance, and is not to be missed. The exhibition runs 6 Dec to 6 Jan and will be opened on Thursday 6 December at 5pm. Ron Curran from Dynamic Drawing will introduce the work. Everyone is welcome. Liz will be doing an artist talk at Clem’s Cargo on Saturday 22 December at 2pm to discuss her work. Ron Curran will also be there to talk about her work and about Dynamic Drawing.